A huge column of steam could be seen rising near Kaikohe yesterday as testing began of the first production well for a new power station. Far North power company Top Energy is building a geothermal power station at Ngāwhā which could eventually make the Far North self-sufficient in electricity and even an energy exporter. 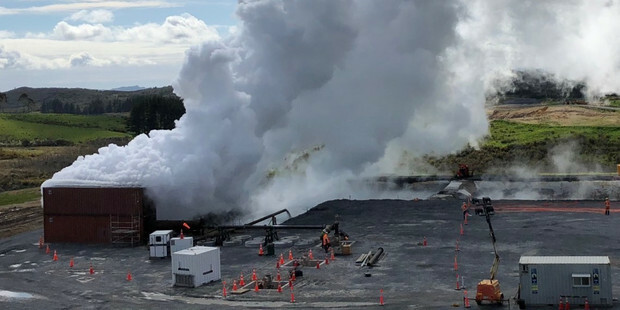 The company already operates a geothermal power plant at Ngāwhā — New Zealand's second largest geothermal field after the Central Plateau — producing 25 MW of power. The new plant will more than double that to 53 MW.